One of Lucy's original, signed, paintings from the 'Selfie Series'. 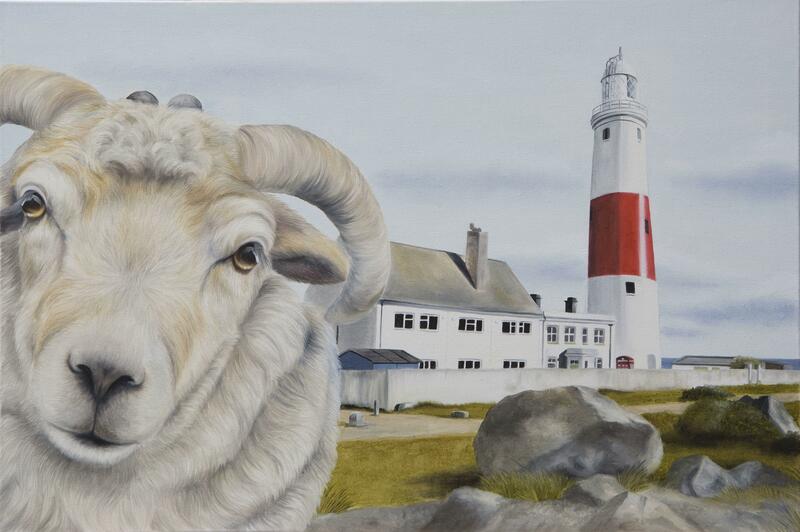 This one featuring the iconic Portland Bill and a rather curious Portland Sheep (a very rare breed!) peering into the picture. 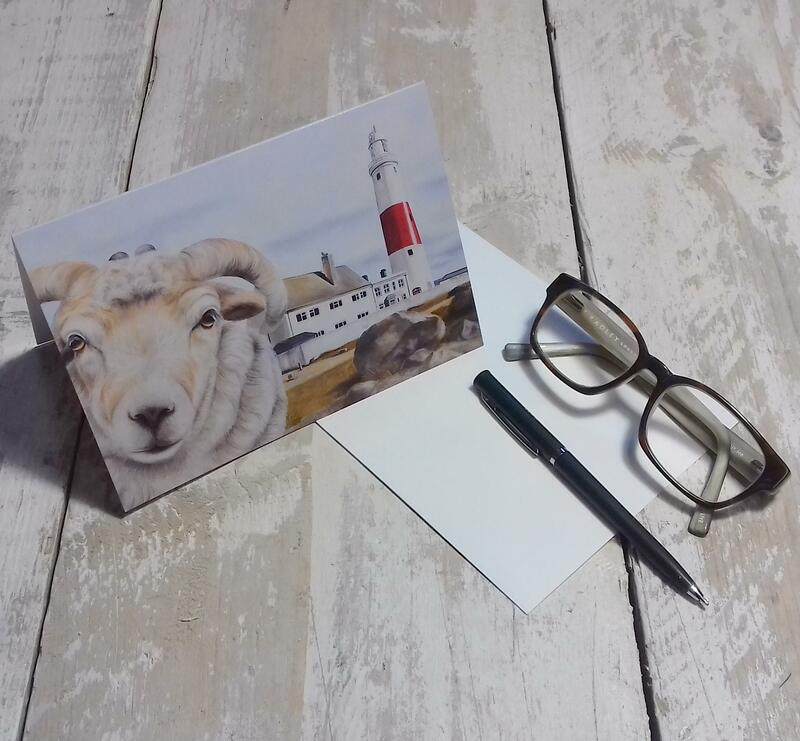 Lucy's paintings certainly have a humourous style and will guarantee to bring a smile! The painting is done using oils on canvas and is approx 51 x 76cm. The canvas is stretched onto a wooden frame and can be hung straight away.